Who is Jesus? C. S. Lewis attempted to answer this question when he popularized a trilemma (a dilemma with 50 percent more content) about Jesus. He argued that Jesus is either a liar, a lunatic, or the Lord. If you’ve read many of my posts, you know that I pick the third option. Jesus is Lord. Jesus is my Lord. So Then, Who is Jesus? Putting these together gives us a composite understanding of who Jesus is and how we can relate to him. Most importantly, we can focus on God’s own testimony: Jesus is the Son of God and we should listen to him. May we do exactly that. Thank you, Peter, your weekly posts are always enlightening and encouraging. Thank you, Susan. I really appreciate that. It encourages me to keep writing! Peter, You may have heard Christian teachers say “You’re off the Mark!” Why, because to see and know Jesus up close and personal, Christians need to keep Mark 15:21 foremost in their minds. In this verse, it is Simon who carries the Cross of Jesus. This Simon appears to have some black history or at least some connection with the community of Cyrene in Africa. In other texts Simon is called the Rock or Cephas and identified as Satan a man thinking very much like a worldly man or a man full of the philosophy of the Cyrenes and a stumbling block to the Jesus who needs Simon’s backing. Psalm 118:22 identifies Jesus as the Rock, the Stone that the chief builders rejected. Throughout the Gospel Narratives, there is a Twin who demands proof of Jesus’ identity and Resurrection. In John’s Gospel Chapter 3, a Rabboni given the name of Victory of the People by his followers spends the night with a Rabbi, John’s Gospel account identifies as Jesus who challenges the Rabboni who is the chief Teacher and Counsel Member of the Jews. This Rabboni comes back into the story in Chapter 7 when the temple guards go to the chief priests and the Pharisees after a divisive quarrel queries the identity of Jesus. They are particularly concerned in John 7:47 because NO PHARISEE has admitted to believing in Jesus. You will recall in Luke’s Gospel Luke 7:47 The prophet believed by Luke to be Jesus is anointed by a Woman that centuries of Tradition say had Red or rufus coloured hair. The name given to the Pharisee who doubts Jesus’ identity in Luke’s Account is Simon. Jesus the Rabboni and Jesus the Red Haired one are the spiritual children of Simon the Pharisee. A Pharisee is the Father of the Oral Tradition and the Law. Mark 15:21 tells the faith community that Simon is the Father who carries the Cross and his children are Alexander and Rufus. Alexander in Greek tradition brings the Victory to the People. He is believed to be a Nicodemus and a man like John the Baptist whose head deserves to be on brass plates as all Kings of Kings are. In summary. Jesus is not one person. Jesus is the three persons identified in Mark 15:21. The Scandal of the Woman Caught in Adultery brings into question who Jesus is. At the conclusion of the trial in John 8:11, Jesus says…go your way and from now on do not sin again” Then in Verse 12, [She] Jesus again speaks to them, saying, I am the Light of the World. People speaking Greek are better able to catch the subtle nuance presented in Verse 12. In Greek mythology, Helen of Troy was the Spartan Married Woman abducted and seduced by Paris also known as Alexander. Helen was believed to be the daughter of the Greek God, Zeus. In Greek the name Helen means bright torch, or light. In Roman Catholic Tradition, the Magdalene was thought to be the Woman with the Red-Hair and or cloaked in Scarlet. In English, if one says Mega Helena and one knows the story of Helen of Troy, it is not hard to see the Mega Helen…as the Great Light, the Woman Caught in Adultery who illuminates the Gospel stories. For many, it would be blasphemous to think a Woman Caught in Adultery, could come out and say she is Jesus the Holy Spirit, the Light of the World. And of course it was and still is for many people. The Cross…is a scandalous story. People may ask. “How can such a scandalous story that many people would rather distance themselves from and bury, fulfill ancient prophecy and establish God’s kingdom of peace and forgiveness, reconciling and uniting the divided household and family of God to God’s eternal Triune self? 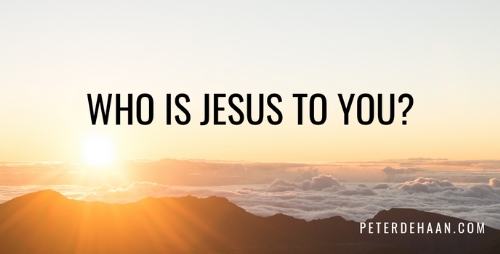 You say Peter …Jesus is Lord. And I agree. Jesus is Lord and when he turns toward Jesus the Light and forgives her and Jesus the Rabboni and his beloved Lady who also forgives and in turn each forgives the other for their inhospitality or lack of faith or offensive thoughts or deeds…Humanity, God’s only begotten Son is reborn in the very image and eternal likeness of God who is LOVE. The Scandalous story is an eternal one of mythic proportions because it is designed to take away the sting of death for those who wait upon the Lord. Those who believe will see the Light and they will have the light of life, hallow the Lord’s name, receive forgiveness of Sin and receive Eternal Life, the Victory of the People. Thank you! And my God bless you and your ministry!